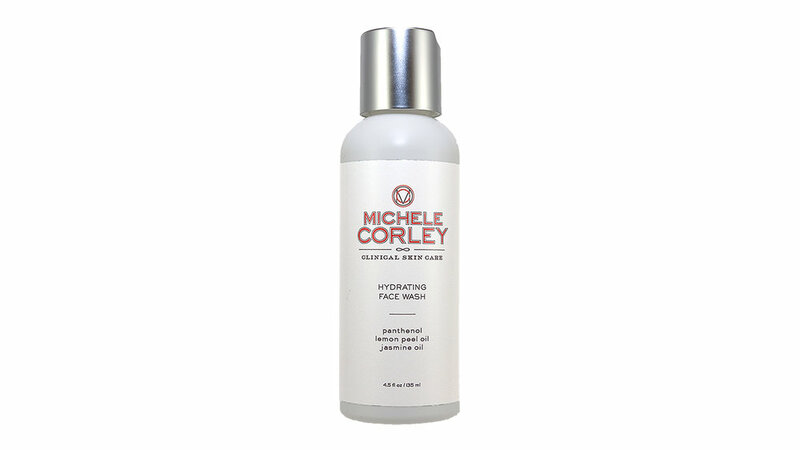 Whether skin is dry, normal, oily or in between, Michele Corley Clinical Skin Care has a cleanser for every type. Our cleansers are gentle enough for the most sensitive or Roscea prone skin, and relieve congestion by keeping skin flawlessly clean. Gently removes all traces of makeup and other impurities; leaves sensitive, reactive, delicate skin nourished, calmed and soothed. Argania Spinosa (Argan) Oil: Cold pressed from the nuts of Argania Spinosa. It is rich in fatty acids, carotenoids, ferulic acid and Vitamin E. Improves skin softness while offering anti-oxidant protection. Helianthus Annuus (Sunflower) Seed Oil: Cold pressed from the seed of Helianthus Annuus flowers. Rich in essential fatty acids. Helps to repair a compromised barrier. Carthamus Tinctorius (Safflower) Seed Oil: Cold pressed seeds and kernels, an extremely moisturizing oil, rich in linoleic acid. Research points to linoleic acid's anti-inflammatory and moisture retentive properties when applied topically to the skin. Purifying Salicylic Acid removes excess surface oils and other debris on contact without stripping the skin, revealing a fresh, clear and balanced complexion. Salicylic Acid: Beta Hydroxy Acid. Keratolytic; helps to declog pores; anti-bacterial. Glycolic Acid: Alpha Hydroxy Acid; derived from sugar cane. Anti-aging skin resurfacer used for peeling/exfoliating dead skin. Perfect for the most sensitive skin, gently removes makeup without irritation. Extracts of Licorice and Green Tea soothe, while Shea Butter leaves skin feeling comfortably soft and protected. Licorice Extract (Glycyrrhiza Glabra): Soothing molecule derived from licorice. Helps keep skin calm during cleansing. Green Tea Extract (Camellia Sinesis): Anti-oxidant, rich in catechins for potent protection; ultra-soothing. Shea Nut Butter (Butyspermum Parkii): Soothing; rich emollient from the Karite Nut Tree; revitalizes, softens and maintains skin's moisture. 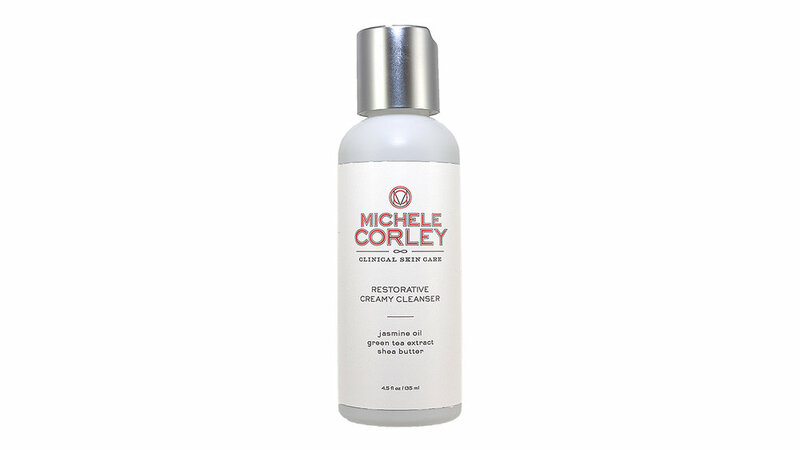 An aromatic, hydrating gel cleanser that gently removes makeup and protects from moisture loss during cleansing. Jasminum Officinale (Jasmine) Oil: Smells exquisite; it deeply relaxes, tones and improves skin elasticity. Pore Clearing Cleansing Oil is specifically designed with non-pore clogging oils, it removes makeup balances skin and lifts away impurities. Infused with nutrient rich oils and vitamin E, skin is nourished and left looking and feeling soft and hydrated; the appearance of pores is minimized. This cleanser is water soluble and rinses away completely leaving behind no oily residue. Organic Helianthus Annuus (Sunflower) Seed Oil: Cold pressed from the seed of HELIANTHUS ANNUUS flowers. Rich in essential fatty acids. Helps to repair a compromised skin barrier. Tocopherol Acetate (Vitamin E): Accumulates in the epidermis and forms a barrier against moisture evaporation from the skin. It is an anti-oxidant that helps prevent free radical damage in the skin tissues. Eucalyptus Globulus (Eucalyptus) Leaf Oil: Antiseptic, disinfectant, stimulates circulation. Salvia Officinalis (Sage) Oil: Soothing and purifying agent. Mentha Piperita (Peppermint) Leaf Oil: Contains skin cooling menthol to calm redness; balances excess oil. Salix Alba (Willow) Extract: Keratolytic; helps to declog pores; anti-bacterial. Normal, Dry, DehydratedAn ultra-rich creamy cleanser, gently lifts away all traces of makeup, debris, and dull dry skin. This luscious formula cleans deeply without compromising the skin’s natural moisture barrier. It boosts hydration, while protecting against free radical and environmental damage, leaving skin unbelievably smooth, soft, and comfortable. The beautiful aromas of Lavender, Rose, Jasmine, and Bergamot surround and protect the skin and delight the senses. Camellia Sinensis (Green Tea) Extract: Anti-oxidant, rich in catechins for potent protection; ultra-soothing. Butyspermum Parkii (Shea) Butter: Soothing; rich emollient from the Karite Nut Tree; revitalizes, softens and maintains skins moisture. This skin resurfacing gel cleanser features Glycolic, Lactic and Salicylic Acids which cleanse and exfoliate to help reduce the appearance of fine lines, wrinkles and other signs of aging. It removes dead skin cells and smooths out rough texture, leaving skin refined and revitalized. Salicylic Acid: Beta Hydroxy Acid. Keratolytic; helps de-clog pores; anti-bacterial. Lactic Acid: Alpha Hydroxy Acid, derived from milk. Skin resurfacer. Glycolic Acid: Alpha Hydroxy Acid, derived from sugar cane. Anti-aging skin resurfacer used for peeling exfoliating dead skin.